81"/206cm Internal height Depth is 20"/51cm.Height to top of spikes is 93" after pushing 12" into ground. 84"/213cm Internal height Depth is 20"/51cm.Height to top of spikes is 96" after pushing 12" into ground. 80"/200cm Opening 88"/220cm Internal height Depth is 20"/51cm. Green, Black or Natural Rusted £ 482.10. White, Cream , Etched Galvanised or Unpainted Galvanised £ 585.75. There is a delivery charge based on the value of the order - see details at the bottom of this page. There will be an extra delivery charge for 200cm Opening Chelsea Arch because of its size, depending on the destination. 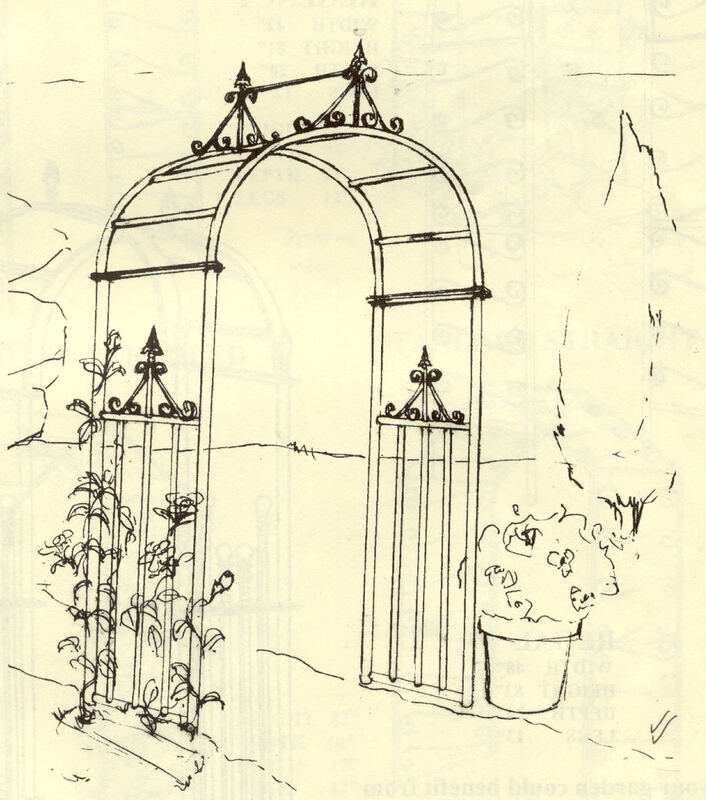 This drawing shows the Chelsea Garden Arch with Scrolls. 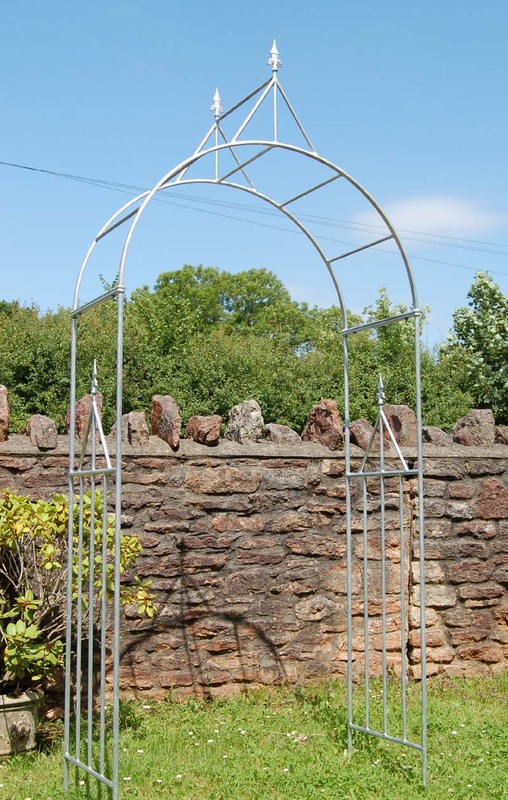 The Chelsea Garden Arch is available either with or without scrolls - the prices are the same.